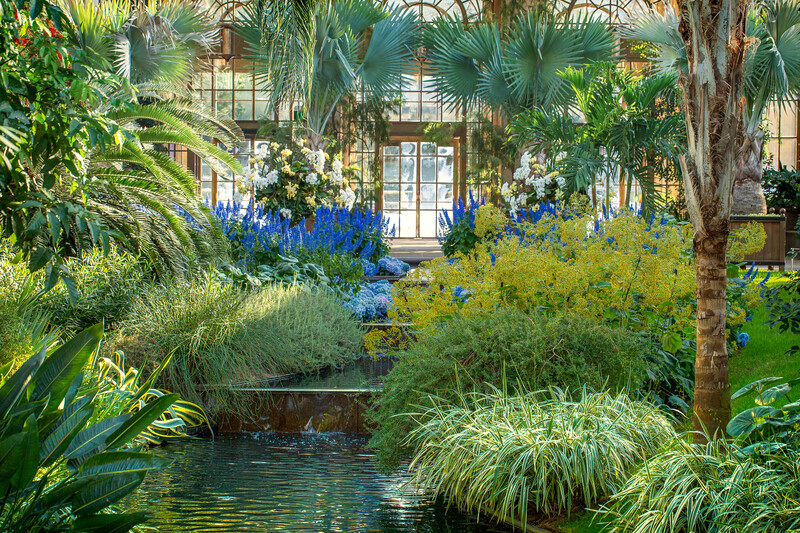 From the snow covered trails on the rolling hills of Maryland, to the tropical paradise of the Conservatory of Longwood Gardens. Beauty in nature from both extremes. After a restless night, I stumbled into the car at 4:30 in the morning to reach Kennett Square to attend a photography workshop with Joshua Taylor at Longwood Gardens. 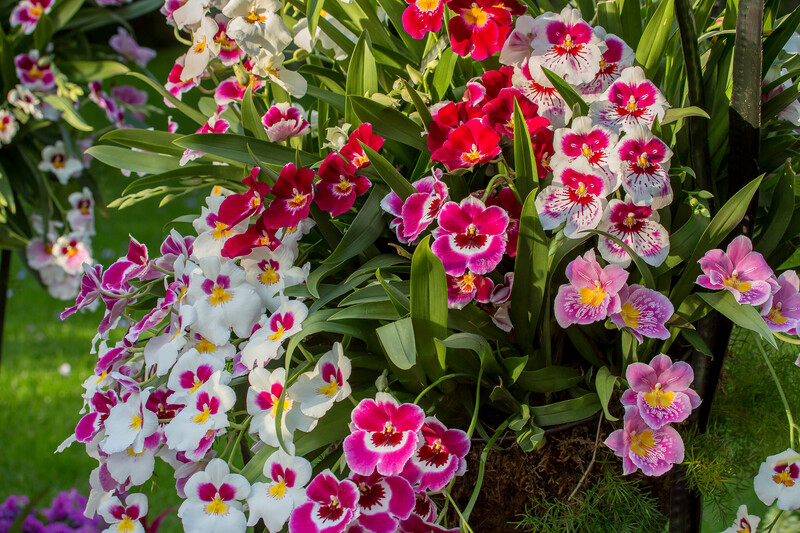 As a Canon camera instructor, this workshop was to highlight the Orchid Extravaganza at Longwood Gardens. I haven’t gotten very far into processing the images from today, but here are a few highlights. 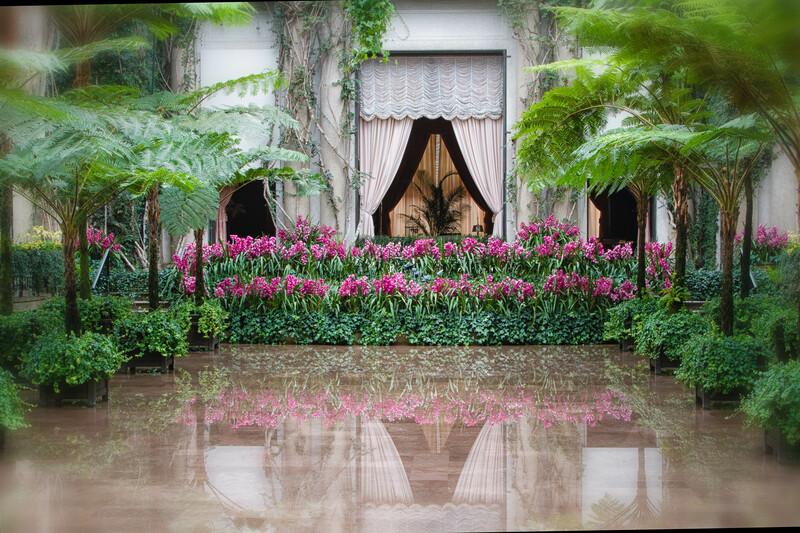 Known as the “Orchid Meadow” this large room offers tranquil waterfalls, soothing greenery and exotic orchids. There is one beautiful area from my visit last year that I remember fondly. Alas, this year it was being set up for some type of major presentation, and the workers were busy. But at least a photo memory from last year is worth a fresh viewing. There is a small orchid room that is filled from floor to ceiling with a wide variety of orchids. It was hard to concentrate on a single subject and to isolate it from its close neighbors. I did manage to capture a number of beautiful flowers though to brighten your day. I am so bleary eyed it’s not funny. Off to bed now, this weekend I’m doing a horse expo thing, along with Hershey Chocolate !! How gorgeous, a sight for sore eyes! I am so happy to share these with you my dear. It truly was a wonderful respite from the harsh winter we’ve been having. Thank you so much for sharing this with your readers Paul. It’s looks like heaven. Wonderful shots!!! Last one looks like a bouquet….. So great to see you Rexlin !! It truly is an oasis and when in the conservatory the world disappears. Thank you so much. 🙂 Orchids are great Mark !! LOL ! I think I would die if I did that. But you’re right. Some how those early departures leads to great discoveries. What is your blog name? I couldn’t click on your name to find it. It depends on what theme you chose as some allow you to have side bars, others don’t. love the colour impressions in your photos; the gardeners have my respect. Indeed the gardeners at Longwood Gardens are world class. They have huge hot houses that help them swap up plants when they start to fade. Burst of cheers indeed. Happy weekend, Bella! Bente !!! It is always so special and wonderful to see you. Thank you so very much and hope you’re doing well. I look forward to seeing those pictures. LOL ! Thanks for the reminder. I promise I’ll get to them very soon. And it was so cold. I thought I would perish on the walk over. It took over 5 minutes for my glasses to unfog. So that was your photog group in the orchid room? I had no idea. I got fixed on the pink Miltonias in the conservatory until we were run off by one of several 4th grade classes. Hope you had a good day. You mean this is the second time that our paths have crossed and we haven’t met? Wow, too bad. The workshop was great as we got into the building by 7:15am and had it to ourselves before opening. The school groups chased me off too when they came in. Perhaps one day we’ll meet. BTW, did you hear/see I have a new meetup group – Feathered Friends? Got lots of fun field trips planned this year. Yeah! I made a visit to a local nursery the other day and while it wasn’t so tropically fantastic I can imagine just how you felt walking through that beautiful paradise. I can imagine the smell, the warmth, the humidity, and feel the color you’ve brought to us. I like your memory image too and how you blurred the boundaries just like a flashback, really beautiful. 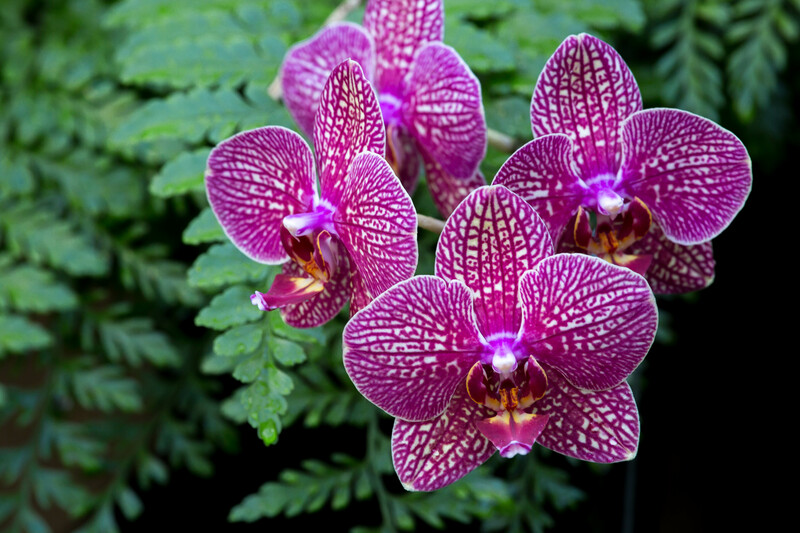 I love the Orchid pics, you’ve captured their beauty and vibrant colors awesomely. Ironically I’m catching up on your posts now as I’m trying my hand at Orchid culture and hope to visit and photograph some shows this year, maybe even botanical gardens in Chicago. You’ve given me a lot to look forward to. Orchids are splendid subjects; their colors and forms are so unique and exotic. If I may shed a bit of nerdiness…Orchids are the largest group of flowering plants in the world, the grow everywhere that a plant can grow, including in the arctic regions. Many live off of trees as epiphytes and absorb nutrients through the moisture in the air of their tropical forests, but they are not parasitic and take nothing from the tree itself. They can be found in every color but true black (for now I would imagine as Orchidists have bred hundreds of thousands of hybrids over the years). As it turns out, many of them are easier to care for (and keep alive) than a lot of us think (including myself). I digress, I appreciate that you gave us a fantastic close up and a group variety shot, thank you! Cheers to this beautiful visit of yours!